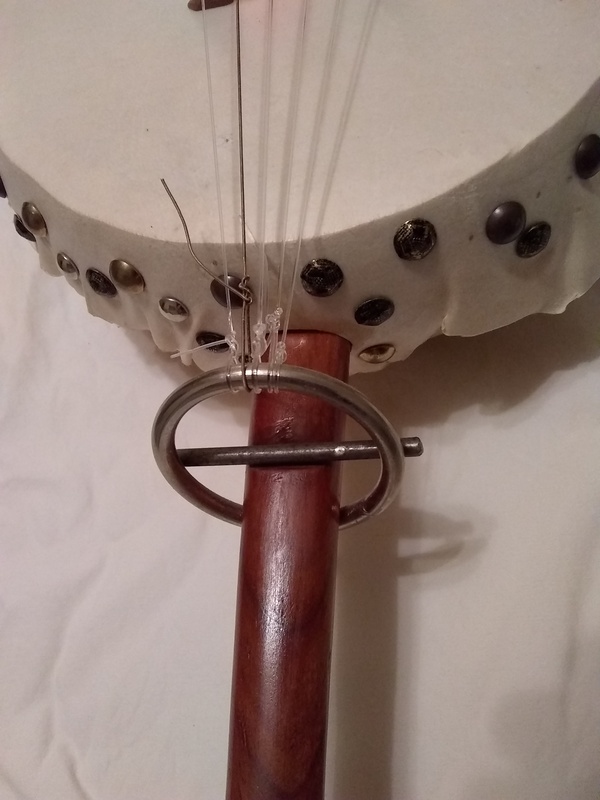 This article is about a design for a tailpiece that works well for gourd banjos. 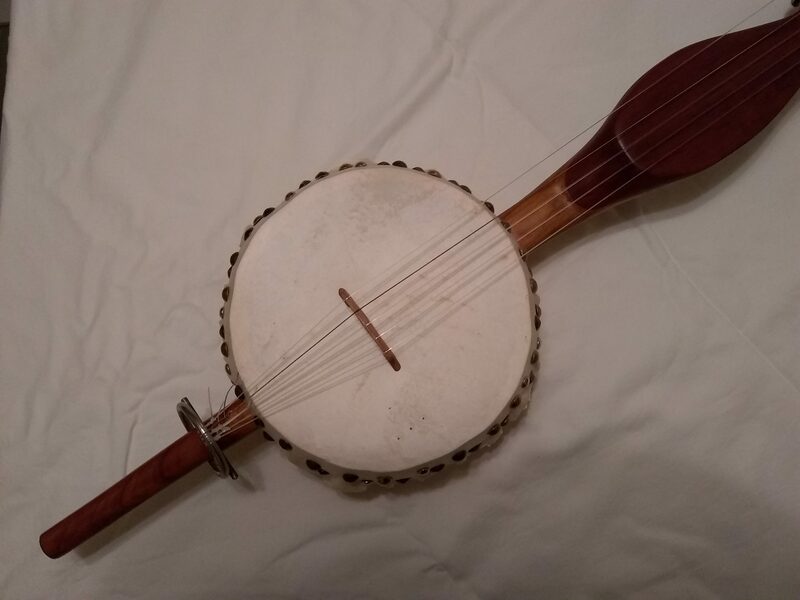 This article also discusses the goals of a tailpiece in the gourd banjo setting. Problem: If the strings rest against the outside wall of the gourd, the tension of the strings may cause the gourd to become misshapen or could even cause it to cave in. Solution: Make a tailpiece that keeps the string tension off of the wall of the gourd. 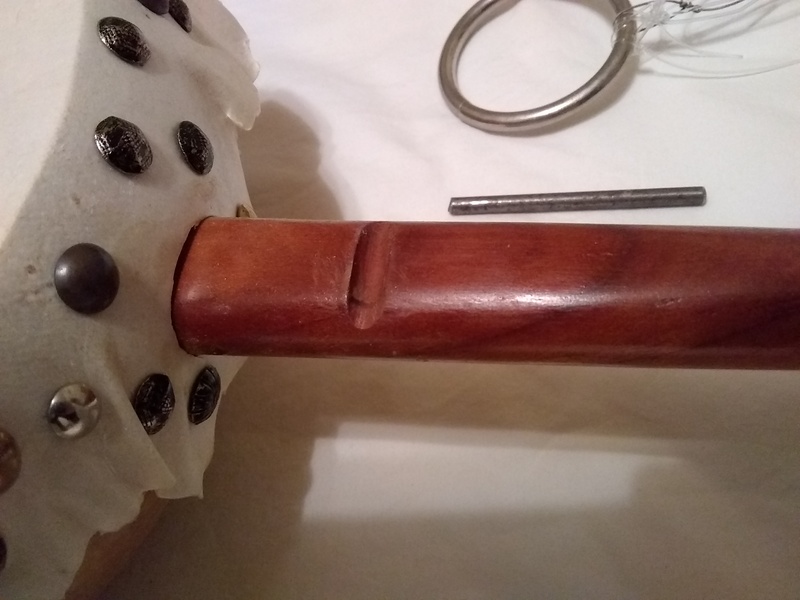 Using a long dowel stick that sticks out from the tail end of the gourd provides something for the tailpiece to attach too. This solution has a bit of a “D.I.Y. hardware store prototype” feel to it. I like this solution because it is minimal, light weight, and kind of novel. 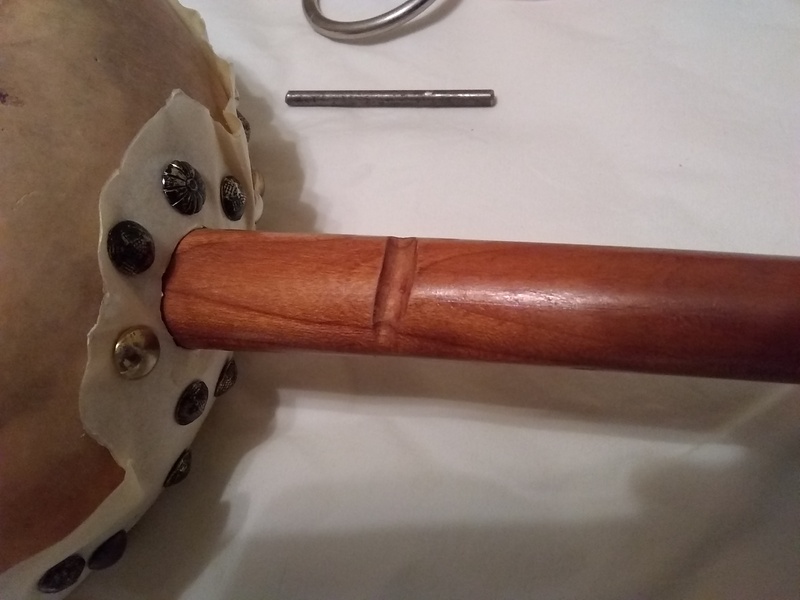 This tailpiece keeps the string tension off the edge of the gourd. The tension of the strings holds the tailpiece in place. It consists of three parts: the stick, a steel ring, and a piece of quarter inch steel round stock. In order to stay in place, the stick must have a notch on its back side that the ring sits in and another notch on the front side that the round steel sits in. The strings are tied onto the ring. Under tension, the ring bears up against the round steel and both pieces are pulled into their notches. 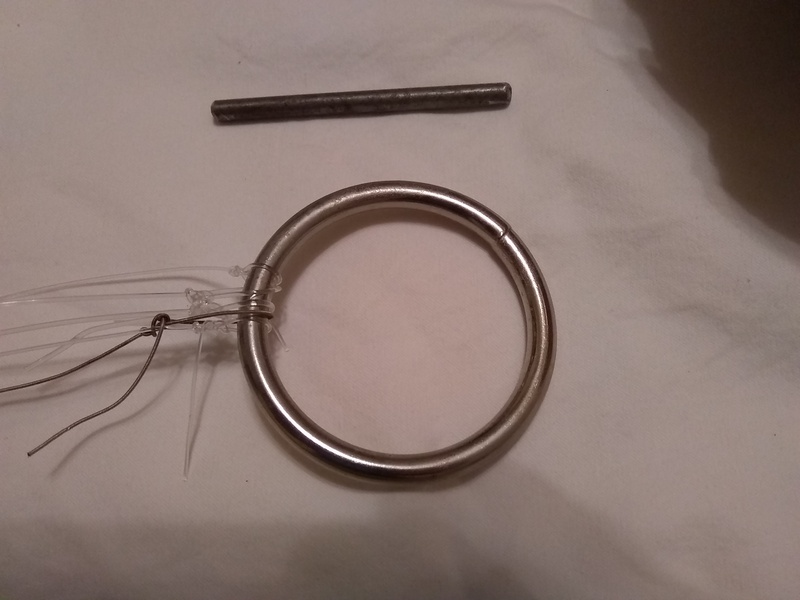 The steel ring and the quarter inch round steel. The notch on the top side of the stick where the round steel sits. The notch on the back side of the stick where the ring sits. This notch is slightly curved to accommodate the contour of the round steel ring.